Industrial process measurement and control requires the transmission of signals from point to point with no significant distortion. Even with the growing prevalence of wireless signal transmission, over-wire transmission of signals is still a primary means of connecting one device to another. In the cabled process measurement and control world, the 4 to 20 milliampere signal is generally considered the standard for transmitting analog control and measurement signals over any distance.There is an immense array of instrumentation and controllers available for use with 4-20 mA signals, so expertise in routing and delivering those signals should be part of your process measurement and control skill set. Like just about everything else, routing 4-20 mA signals presents its own set of challenges that require some thought and planning to overcome. Electrical interference is always a concern and must be prevented from impacting the operation of measurement and control devices. Additionally, there must be sufficient power in the signal loop to accommodate the resistance load of connected devices. There are other considerations, but I'm going to focus on these two. One scenario that can present significant issues is multiple devices requiring connection to the same signal, but with great distance between them. A simple solution can be implemented using an isolated signal splitter. One 4-20 ma input channel for the measuring or controlling device. Isolation between channels for safety and increased noise immunity. Fault in one output channel does not impact the operation of the other channels. 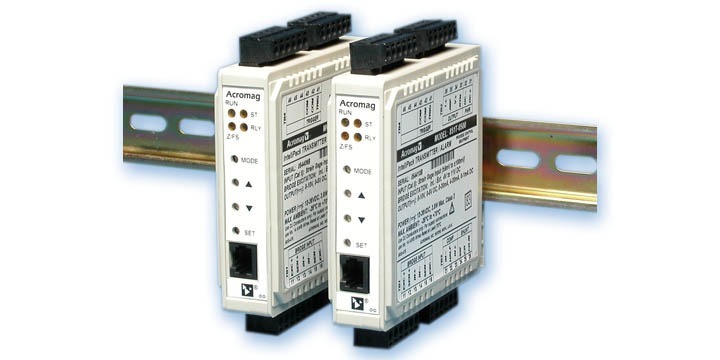 Reliable operation in industrial environments, with protection from RFI, EMI, ESD, and surges. Low radiated emissions in accordance with CE requirements. If you have a very long signal loop, connecting multiple devices, consider breaking the devices into two groups that may allow for a substantially shorter cable length for each group. Connect each group to one of the isolated outputs of the splitter, giving each group of instruments the identical signal without the risks or impractically of an excessively long cable run. There are other devices available that may combine special characteristics that solve your signal transmission and processing challenges. Contact a product specialist and discuss your existing or anticipated project requirements. Combine your process knowledge and experience with the extensive product knowledge of a professional sales engineer and produce the best possible outcome. Loop Powered Isolated Signal Transmitters and Splitters from Instrument Specialties, Inc.